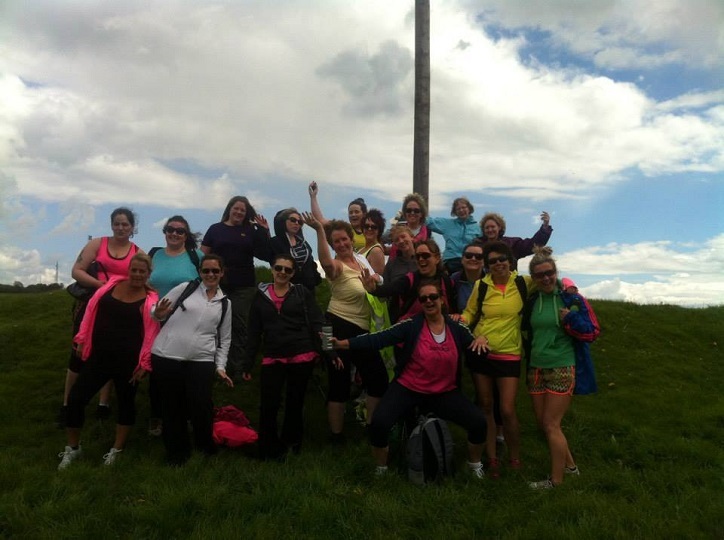 Below is what happened in one of our recent fat camp weeks, as reviewed and reported by one of our customers. The review article below highlights the details of the customer’s week camp experience at FitFarms from exercise programmes, learning nutritional diet menus, accommodation and the consultants. At the back end of 2010 I went through a very particularly difficult time and I felt completely lost. I was really struggling and I found myself wanting to do something that was totally for me and to help me get back on track physically and mentally. I knew a spa wasn’t going to cut it. After a lot of research I found the FitFarms website. I thought this was just what I needed so I decided to go for it. The hardest part at first was getting there as I had never travelled on my own and I needed to get a flight and a train as I live in the beautiful island of Jersey. I was going on my own but sharing with another lady and we had made contact before we went. I am still in contact with her to this day and also a couple of other ladies who I met there. When I arrived at FitFarms the staff were so friendly and welcoming. However they were straight with us in what we should expect on our week at FitFarms. 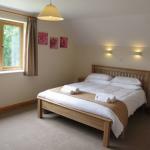 We were shown our rooms and they were such a great standard. After we had settled we had a meeting and had to get our measurements done and if I remember correctly we had to do some small tests like flexibility, run/walk a mile etc so at the end of the week we could see how much we improved. We had dinner and were shown our list of what we would be doing the next day. I never thought in a million years I would get through the day. The first 2-3 days were a struggle and boy did we ache. Even going to the toilet was an achievement in itself. I remember being told by the staff that it would get easier. Because everyone who attended were in the same boat we all laughed about it and really encouraged each other. It was an amazing atmosphere every day. You really do get to meet some wonderful people from all different levels. By Day 3 or 4 we could walk and exercise much better and it really started to feel good. The experience for me wasn’t just about exercise and eating healthy, it was also mental and I had a real breakthrough while on the course thanks to the Life Coach who was there at that time and I started to feel like me again (but a better version). The week was great fun even if at times we thought we would never do it. By the of the week everyone had made huge improvements and accomplished so much. I enjoyed it so much I wanted to continue my journey and when I returned home I decided to do a diet and fitness course. I completed that but I didn’t feel it was quite what I was looking for. I eventually hired a health coach and through her I changed my whole life for the better. I have now gone on to train as a Health Coach as I think it is so important that as many people can see what they can achieve through living a healthier lifestyle. I am just about to turn 40 and I have never felt happier and fitter and I hope to help other people feel the same way. And it all started out with a trip to FitFarms, an experience I will never forget and I do think of often. Below is what happened in one of our recent fat camp weeks, as reviewed and reported by one of our customers in FitFarms Dorset site. After the initial excitement and enthusiasm from booking on to a weight loss boot camp with Fit Farms in Dorset, two days before departure the trepidation grew. What on earth was I doing? I don’t need to go to a fat camp, I love chocolate and wine, my dog, my new boyfriend were some of the thoughts going through my mind as I came to terms with the fact that it was too late I was off the following day. Admittedly, I am concerned about my fitness level and whether or not I will keep up with my expectations- I go to a gym regularly already but new to fitness and with a series of injuries I had concerns. Naughty by nature I kept thinking of hiding a bar or two (large ones) of chocolate-it would be organic and dark so not so devilish should I be found out. Then I realised I would be cheating myself and if I didn’t play the game properly, would I really loose body fat and disassociate myself from being a little sugar obsessed on this fitness boot camp? I had seen all these programs on recent TV saying how bad sugar is for you only to realise that I was a sugar addict. So i have arrived and met the other ladies on the course, a whole mixture of people and all really lovely, so so far so good. Hearing people’s stories and objectives as to why they are at this weight loss holiday was inspiring and emotional too. I had a really good nights sleep despite it not being long enough but I feel refreshed. Muesli for breakfast-not as much as I would normally have but it is a weight loss camp and so is focused on controlled portions. I worked really hard in circuits and all of us were fitness committed and of course red in the face by the end. The Fit Farms team were consistently looking after us ensuring we did the correct technique and pushed ourselves enough to be able to make that difference we so all want. After Yoga with Ian we broke for Salad Nicoise which I demolished – a very healthy lunch and just the right amount –although I did pinch the olives that were discarded by non-fans. I keep thinking about food and wonder if it should be fat farms not fit farms and then realise i am hear to improve my fitness and loose body fat on this weight loss retreat. We are on a break now until our next exertions of Boxing, working on our abdominals (which includes the hula hoop-not the crisp kind either). So far I really like the variety of fitness exercises making it a real fitness holiday as opposed to a boot camp where I imagine you would be covered in mud climbing over an assault course and tears being evoked by some sergeant majors shouting! Blast I can hear the rain-perhaps I spoke to soon about it not being like a boot camp-we are meant to be going out for a run/walk after the boxing exercise. So the sun shone for us as we warmed up for our run/walk-this was literally a minute of walking followed by a minute of running as fast as was comfortable. I was thrilled that I was able to run down the country lanes as the treadmill normally teases me as it lessens any impact on my injuries. I sort of saw the blue bells either side of me but preferred to focus on my technique so as to avoid any further injury. It was only on the way back from the run that I truly appreciated the surroundings of stunning Dorset countryside and in May-how lucky I am to be on this weight loss holiday. After a little snacket I took to the floor with Andy and all the ladies. We did an amazing session focusing on our core strength with. He had us lying on the floor and clenching our abdominal muscles whilst simultaneously squeezing our pelvic floor muscles. We must have done this for at least half and hour. I do not think I have ever focused purely on my abdomen whilst exercising, but wow what a difference it makes. It was mildly uncomfortable at first, so I tried harder as I really am committed to having a relatively flat stomach especially with the summer coming up and bikinis coming out of the bottom drawer. On reflection of my extra effort for a lean stomach however, this may be one of those exercises when hindsight could be applied, as the next day I really felt my stomach muscles for the first time ever, even to the point that it hurt to laugh. As for a really good belly laugh, which there were many through out the fitness holiday; that was out of the question, it was far too painful. From abs with Andy we took on another aspect to our weight loss retreat with the Hoola Hoop and I can now do it. However it took some effort and much persistence and patience. I have always wanted to achieve this hip swaggering move and have watched my sister do it since we were little and now I can do it too. In fact all of us were spinning the hoop by the end of the session. I am so pleased and amazed at how much of an exercise it is too. I worked up a sweat and gave it some on the old hip movement. It’s the kind of exercise you could do in front of the TV. Our very professional fitness instructor Zu said that its not only good for improving the waistline but also massages the internal organs and helps to eliminate a build up of toxins in the abdominal region. It helps to burn the fat in your belly, tones your body in to the desired shape. But most importantly it’s a sure way of achieving fitness whilst having fun on the fat farm. The Hoola hoop needs to be a certain weight to make it firstly easier and also an exercise. It also has to be a certain diameter and so much bigger and heavier than the ones we had at school. I will be ordering one for sure. Apparently there is even a World Hoop Day to celebrate Hooping, which became very popular at the end of the 1950’s. It has become quite trendy now with celebrities such as Kelly Osbourne, who used to be a rather large young girl until she attended a weight loss boot camp and became committed to healthy eating and the Hoola Hoop amongst other exercise routines. The extremely, nutritiously healthy dinner of roast chicken with quiona with fresh fruit and vegetables reminded me I was on a weight loss retreat. It was just enough to fill the gap and energize and revitalise the body and mind in preparation for the evening training. Resistance training with Ian was next on our agenda and as this did not involve running around or any cardio it was the right thing to do after our evening meal. In fact we were informed that resistance training is better to do in the evening as it continues to burn calories whilst you sleep. We were told by the weight loss health team that research has shown that women who did weight training burned an average of 100 more calories during the 24 hours period after their resistance training session ended. I got really excited by the prospect of burning calories whilst relaxing in bed on my own and especially by sleeping. However during this particular fitness holiday session, each time I raised some weights above my head, I became more aware that I was in desperate need of a shower. We were able to retreat in our rooms this morning for an additional half an hour, which I appreciated. I was woken up in our cardio session with Zu who showed us things to do with those fitness Swiss Balls that I would not have dreamt of doing. I have had one in the garage for years and only ever used it to do sit ups with, about twice. I shall definitely be making more use of it now I know what is possible. Apparently the unstable surface created by exercising with the ball means that more muscles, not usually engaged, become so. In particular the core is used to assist with balance whilst focusing on a push up, for example. So I completely forgot my tiredness after this fitness holiday session with the Swiss Ball and went in for breakfast- a lovely coffee with homemade beans and mushrooms. I indulged in another, new to me, weight loss retreat exercise today to help with my fat burning mission ‘walking with Nordic Poles’. According to Wikipedia: ‘Compared to regular walking, Nordic walking (also called pole walking) involves applying force to the poles with each stride. Nordic walkers use more of their entire body (with greater intensity) and receive fitness building stimulation not present in normal walking for the chest, lats, triceps, biceps, shoulder, abdominals, spinal and other core muscles that may result in significant increases in heart rate at a given pace. Nordic walking has been estimated as producing up to a 46% increase in energy consumption, compared to walking without poles.’ Well, I really enjoyed it and more so because the sun was shining and I was walking and chatting to two lovely ladies from Fit Farms weight loss retreat. This type of fat farm holiday really does bring people together and such strong bonds are being formed already. I then tried Aqua aerobics, another fitness holiday exercise. I have seen and heard of people doing this but could not imagine how it would or could burn calories as the exercise did not look like you got out of breath. However I was surprised to find out that that is exactly what it did. It was such hard work wading against the water. Maintaining a balance was also difficult so my leg muscles were strengthening just to prevent me from slipping over. I puffed and panted and was out of breath. I did find I quite tricky being only five foot two inches, keeping my head above the water so I gravitated towards the shallow end but then found my arms were not being worked unless I crouched down which was then uncomfortable, so I do not think this is one of my favourite weight loss holiday activities. We then had an introduction to kettle bells, which varied hugely in weight and size. We learnt the correct technique to prevent injury and get the maximum effect in improving our core strength. We did this for about half an hour and I can really see how this type of exercise incorporates the whole of the body and so it really is a total body workout. The kettle bell is used with swing movements and apparently originated in Russia. The unique shape of the kettle bell provides the unstable force for handling which is the key for the effectiveness of the kettle bell exercises. I must say that this did feel somewhat of a fitness boot camp when I looked around and saw the perspiration on everyone’s faces. It reminded me of how I felt lugging heavy bags of sand around my garden when I was grouting in between the paving slabs. Who needs Kettle Bells I say, get to the garden and give it some welly out there. We did another workout with the Swiss Ball with Zu and were introduced to more unique and beneficial ways of training our whole body. Having really worked up an appetite I could tell it was almost dinnertime. I did not need smells to remind me, or a rumble in my stomach, I just knew. We were then directed to the dining room and served a delicious stewing steak cooked in a Persian sauce with fresh vegetables. I ate it much faster than I should have and was reminded as to how much faster I eat in comparison with most people. I had heard that when on a weight loss holiday, food should be consumed slowly and savoured. It was paramount to ensure that food was chewed properly, something I rarely do. One of my trepidations when considering a weight loss retreat was that I would be looked at by others on the course as a gannet and told to slow down when eating, taking time over my food as apparently you get fuller, quicker. However, no one said a word, but I did become conscious of my eating habit. I remember seeing a report on the BBC regarding the obesity epidemic and it really shocked me to learn that almost one in four of all adults in the UK are currently obese and by 2050 that is expected to rise to one in two. The report continued to explore the relationship between eating habits and obesity showing that eating more slowly can suppress the appetite. Researchers also found that people who ate slowly ate, on average, 88 fewer calories than the fast eaters. Although I am unsure how this actually works as surely a calorie is a calorie regardless of how quickly it is consumed. I was brought up like many, with the attitude that it was rude to leave anything on your plate and so everything would always have to be consumed. In fact, thinking about it, I may eat fast because if I did not when I was younger sitting around the family dinner table, someone else would eat if for me. Brilliant, I can now pin the blame on my family as to why I am here on the weight loss retreat and trying to improve my nutrition and fitness level. We then did more resistance training with Andy and I remembered hearing that the exercise I was doing in this hour was going to continue working on my body through out the night so I increased the size of my weights a little and really put as much effort in as was possible, having had two full days at the fitness camp. Afterwards, I am pleased to say, we had another little snacket, which really was delicious, a raspberry tartlet. I thought pastry was bad but rather than question anyone I wolfed it down paying little or no attention to the fact that I should probably be savouring each morsel. So, so far I can say it is more of a fitness retreat away from the world and the normality of life as opposed to a camp that boots you up the backside. There has been no shouting, just words of encouragement and great music to help keep us motivated. I am especially pleased too, as I can actually physically feel that it is making a positive difference to my body. Combat aqua in the pool was a refreshing start to the day and really making it feel like a fitness holiday. We had porridge to break the fast followed by a bus trip to a stunning place nearby for a 5 mile walk, it really was like being on a fitness holiday being surrounded by such beautiful countryside, the sun shining and of course, more blue bells (which I noticed this time). What an eclectic weight loss retreat this is, as we then turned our attention to Tai Chi, which despite its promotion of slow mindful movement, it is proven to increase weight loss. Ian who taught us, it was obvious to see, it so passionate about Tai Chi that his enthusiasm for it encouraged me to really engage with what we were doing. The focus was all on energy and being present to the moment. It was so great to do yet another exercise that was not all about cardio and weights, which i have become quite partial to over the last couple of days. Tai Chi uses a lot of muscle control to help maintain balance, and so it is a challenging workout that is going to result in weight loss and fat burning, especially because it is repetitious. Apparently once you have mastered a tai chi routine, which should be done slowly to make sure every movement is precise, you can pick up the speed to create a fast, flowing movement where you use more energy and so burn more fat. Our lunch was yummy chicken with salad and I felt yet again, full, despite the smaller portion I would have at home. We continued our theme of eating with the most excellent nutrition workshop by the lovely Scottish Lesley. Sitting there for 2 hours focusing on what to eat and what to avoid made it slightly like a weight loss boot camp but Lesley’s knowledge, delivery and professional expertise had each and every one of us completely engaged through out. The information we received both verbally and in excellent handouts was life changing for many. For example, some ladies shared about the two cans of coke they consumed daily which had to now go into room 101. My over indulgence in chocolate too was obviously an issue. Lesley showed us that changes needed to be made, but she presented them in a non-scary way but in a way that provided exciting alternatives. An example of one of the alternatives to satiate my sweet tooth is banana ice cream. A pure and very simple way to enjoy a very sweet and satisfying treat without any of the bad sugars we are all so hooked on. I had no idea that melting dates in a drop of water resulted in a toffee like taste and texture. Adding this to mashed banana, coconut milk and some pecan nuts and there you have the most deliciously healthy ice cream-once frozen of course. Lesley suggested baking bananas in the oven and eating with some natural yoghurt instead of tucking in to copious amounts of chocolate or biscuits-weight loss holiday indeed. The nutrition workshop was really like being in a weight loss retreat, as were given the opportunity to ponder on the realities of how and if we really value our bodies and ourselves. We got to see that weight loss camps are all well and good concentrating on exercise and smaller and much healthier food but the nutrition workshop showed us all how this could be sustainable back in our own lives. I cannot wait to get home and try some cottage cheese mixed with tinned fish, especially sardines, as it makes a pate. So simple and I bet so yummy. I will also now be buying whole milk and not, what I thought would be consumed on a weight loss holiday, semi skimmed. I have always been put off by whole milk as its so creamy and I do not actually like the taste, this, I am sure stems from years of warm whole milk we had to drink in junior school daily. However Lesley gave us the idea to water it down, buy a smaller carton and just add water. Genius, I love the idea and now my boyfriend will be thrilled that he can have his morning porridge and coffee with whole milk-everyone is a winner! I could talk about this workshop for ages and how the National Health Service could reduce its debt by turning its attention more fully to nutrition and prevention of illness as opposed to spending large amounts of money pumping people with unhealthy drugs. For example, some of our group found ways to improve their under active thyroid which of course is a real cause of weight gain and another drain on the National Health Service. We went from here to be greeted by the great weight loss holiday staff in the workout studio for a mix up session for one and a half hours of varied exercise. A quick shower and then Mackerel salad followed, which I did fastidiously attempt to eat more slowly than any of the meals consumed thus far and I am pleased to say I succeeded, I was not the first to finish my meal. The day ended with more resistance training with Andy where we all got a bit of a sweat on. After a yummy snacket of yoghurt mixed with i am unsure what, but some healthy fruit, I retired to my room to chill and of course write this up for anyone who may want to share in my experience on this amazing weight loss retreat or an alternative fitness holiday. We are now half way through our week and i am still really having a blast. The lack of sugar is so much easier than I anticipated and yes I am aching somewhat but I have booked a massage for tomorrow night, all part of the Fit Farms package and I am so looking forward to it. Great wake up work out with Ian- mixing up dance music and Tai Chi, which I thoroughly enjoyed and found to be right up my street. I had had a really poor nights sleep for some unknown reason and the wake up workshop woke me up after only 4 hours sleep- what a result as I thought I might have to skip something for a little lie down later in the day. We had an excellent part two to the Nutrition workshop, people with allergies and all sorts of health problems finding ways to combat them via an intelligent yet simple approach to eating correctly. Quick snacks, that are good for you. Label reading and its importance were the main focus of this part of the programme. The only downside to what I learnt today is that I will have to get my reading glasses out of my handbag to read about what I am purchasing or invest in some varifocals. Although I am sure after a few trips to the supermarkets with my glasses and my informed choice of grocery purchases my memory will kick in as opposed to being purely reliant on my vision. Perhaps Fit Farms could come up with a sight improvement retreat as well as a weight loss retreat. Our afternoon consisted of an eclectic dance workout with Zu including belly dancing, ballet, baroque to name a few. Great fun and great music to accompany it. Our dance work out was interrupted by a Swallow bird who must have wanted to join in the fun as she flew into the converted barn being used as one of the exercise studios and so we continued dancing out side until she flew away. The animal theme continued that day with the lovely little dog who lived in one of the barns attached to the farm wanting a tummy tickle making it very much a FitFarm like atmosphere. In the afternoon we went on another lovely walk in the beautiful countryside. The walk consisted of three hills each getting progressively steeper. We had a well-deserved snack on arrival at the top, an energy ball consisting of nuts, dates and I believe tofu although I am yet to research the recipe on the FitFarms website. It was quite a moving end to the afternoon when seeing the emotion of one lady who made it up to the top of the hill. Her elation and pride in achieving the three peaks-the name they have now been given by our group moved her to tears of joy. She had not done any exercise for years and so coming to a weight loss boot camp was not only very daunting for her but a real test to her physical ability. She was by no means last, however, I must emphasize that there was not one element of competition thought-out the whole week with regards to fitness levels, size or anything really, making it feel like a fitness holiday. Andy, one of the fitness health team, patiently walked up the hill with a new arrival who struggled to walk the three peaks at speed, while Zu shot up the hill to ensure the quicker walkers knew where they were going so everyone was catered for all of the time. They certainly had their work cut out for them this week as the fitness level of the group was so varied. As with each exercise session, we ended with a big stretch to ensure our muscles were not aching too much the following day. The health team informed us that, after a workout, muscles naturally contract. Stretching helps prevent them from shrinking. Stretching allows your muscles to rebuild, growing bigger and stronger, and so enable you to get the full benefit from all the hard work. On the fitness retreat we learnt that stretching after exercise can also relax the muscles, help speed circulation to joints and tissues, and help removal of unwanted waste products, and this all help to reduce muscle soreness and stiffness. We were also informed as to the importance of drinking plenty of water, especially after exercising. This is because you need to keep replenishing your fluid levels and quite a lot of my fluids left my body whilst exercising. Apparently it is recommended that you drink another 2-3 cups within two hours after you have finished your exercise routine and then, drink water regularly afterwards. You may not feel thirsty anymore, but you still need to take on board fluids to avoid getting dehydrated. Dinner was stewed beef in a wonderful stewing sauce with vegetables which I devoured with out taking heed of eating slowly this time, well apparently it can day weeks to change a habit of a life time. In fact we are learning about changing bad habits tomorrow in another workshop which I am really looking forward to. Our evening ended with more Pilate’s great for sorting out some of our backs after the up hill walk and continuing to stretch our muscles. Some of us then went and soaked our muscles and relaxed in the outdoor Jacuzzi watching the sunset, the only thing missing for me at that point on the weight loss holiday, was my boyfriend. Zu started our day with a wet wake up again in Aqua aerobics. It did not seem to get easier but definitely became more fun. The music really helped too to transport me from my sleepy state to a livelier version of myself in readiness for the muesli with almond milk breakfast. A private coach came to pick us up to take us to this stunning little village not too far away, where we started our walk with stretches. We were about to go on a ten-mile walk and so were given our little snacks to take with us. Zu shot off in front leaving clear signs for us to follow and we were off. It was another stunning walk in the Dorset countryside making me question where I live and where I could or should be moving to the countryside or even the coast. We came back for lunch and were then split into two groups, one having the much awaited habit changing workshop and the other having some ‘double –trouble’ training with Ian and Andy. This consisted of ‘Insanity training’ and circuits. I started off with the workshop on habit change. I guess exploring our habits both good and not so good is essential when attending a weight loss retreat, as if we all lived perfect lives never consuming too much or even a little of what is not so good for us then we would, I doubt have a need to be here. We were given paper and pens and asked to write stuff down as this helps the brain process things. The lady running the workshop spoke about becoming aware of our internal dialogue that we have with ourselves. She asked us to recognise whether or not this voice was charismatic and one to be listened to- in other words the voice tells us exactly what we want to hear. With a focus on the softly, softly approach expected on a weight loss retreat we were told about the importance of making our goals realistic and therefore achievable. We were asked to distinguish any triggers that led to the undesired behaviour and how these could be managed. It was also high lighted that 95% of our thought processes were subconscious and so by raising our self awareness and being totally honest with ourselves we could start to replace any unwanted habits that do not serve us with positively life changing habits that do. Some people on the course found it an emotional experience, as they had not considered the possibility of being in control totally of the self by raising their self-awareness. After the workshop, we swapped groups and so it was my turn for the double trouble physical exercise. It was great to get the blood flowing through the body again having been relaxing and listening to the workshop. We then had dinner, a lovely vegetable frittata which was followed by further resistance training with Andy. Wake up workout at 6.45 was followed by breakfast. We took another private coach to the beach in Bournemouth. I had only been here once before and remember loving it and telling myself that I would like to retire there so I was curious as to how I felt about it all these years later. When we arrived we went for a long walk along the promenade and again the fitness team enabled us to walk or run according to our abilities with a little encouragement to allow us to challenge ourselves. . I ran the most I have ever ran in my life, 12 kilometres. During this time my mind fluctuated between loving and disliking running. It get so much pleasure from running it felt like I was on a fitness holiday but when my old injuries crept back it felt like I was on a fitness boot camp. My previously fractured pelvis, both of my knees having ligaments torn in ski injuries were rearing their ugly head so I slowed down my pace to ensure I was able to complete my mission of beating 10 Kilometers. We went from what I considered exhausting to some very relaxing Tai Chi on the beach with Ian. It was so wonderful doing Tai Chi whilst looking out to the sea and the horizon beyond that. It helped too because the sun was shining and the sky was blue. We had a chicken wrap and some soup as a picnic on the beach for lunch, which went down a storm. Some of us braved a paddle in freezing British water, which must have been a maximum of 17 degrees. 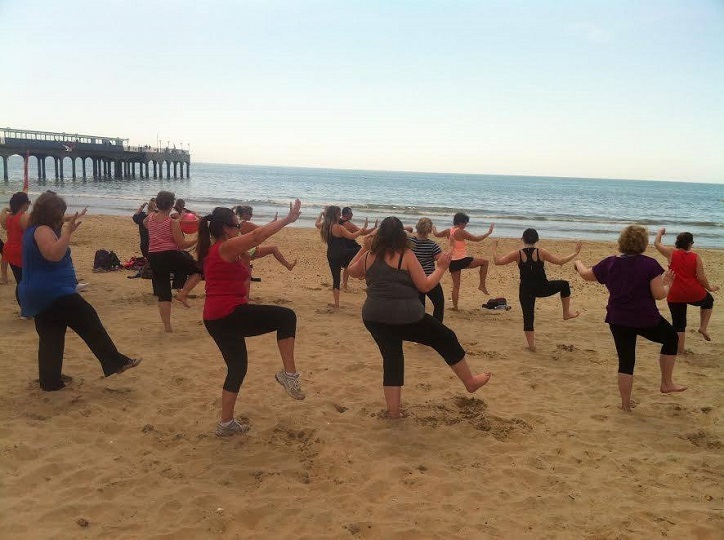 We Hoola hooped and generally chilled out on the beach until it was time to go back to the Fit Farms weight loss boot camp to have a cookery workshop with the chef. This was followed by dinner. There was a really lovely touch, it being our last evening we had presentations of certificates and speeches by the fitness team. It was really appreciated each person on the course being acknowledged by their mentor and the achievement we had all made throughout the week. We ended the course meditation with Ian. Some of us had a swim in the indoor pool, used the Jacuzzi to relax our muscles or opted for massages. I had timed my zero balancing massage combined with Swiss massage and deep tissue massage perfectly. I then went for an early night around having been totally relaxed in the massage with a lovely lady called Jean. I got up so early having slept like a baby and was really looking forward to being measured. In particular I was curious about my body fat reduction. After all the weight loss holiday promotes fat loss as opposed to unnecessary weight loss. As I was not really interested in loosing weight I was overly concerned about my fat. 4% fat loss gone from my body bringing me in to a very healthy body fat content area. I was happy as I had achieved what I had set out to and the sweat and hard work I put into training on the fitness holiday had paid off. My weight had stayed exactly the same, which I was amazed by, as I had not indulged in any chocolate or wine all week. However I had not gone hungry so I guess my body weight is the right for me at the moment. After a healthy helping of muesli with almond milk I said my goodbyes, exchanged a few phone numbers and loaded up the car. Will I return? I definitely think Fit Farms intense yet fun approach to fitness and fat burning alongside an informative and tasty nutritional programme makes this type of fitness holiday something for everyone. I do not only want to make it an annual week out of the normal routine but to bring some of my friends and have fun exercising with them. So many of my friends have focused so much on being great parents, husbands and wives that they have lost time for themselves in ensuring they are fit and healthy. Now their children are growing up and more independent I think Fit Farms would be the kick start some of them need to get refocused on creating and maintaining a healthier lifestyle as they move into the next phase of their lives and so doing the best they can, to be the best grand parents they can be. I have been reminded about how much fun you can have without spending much money. Most of the fitness holiday activities we did at Fit Farms did not involve elaborate equipment and we were shown how to exercise around the house and in our daily lives, showing its not all about going to a gym or running but finding something you enjoy and committing to it or finding a few things and mixing them in to a weekly routine. All of the fitness retreat exercises could be done with children to a more or lesser degree and so making fitness and health consciousness fun and something for the family.